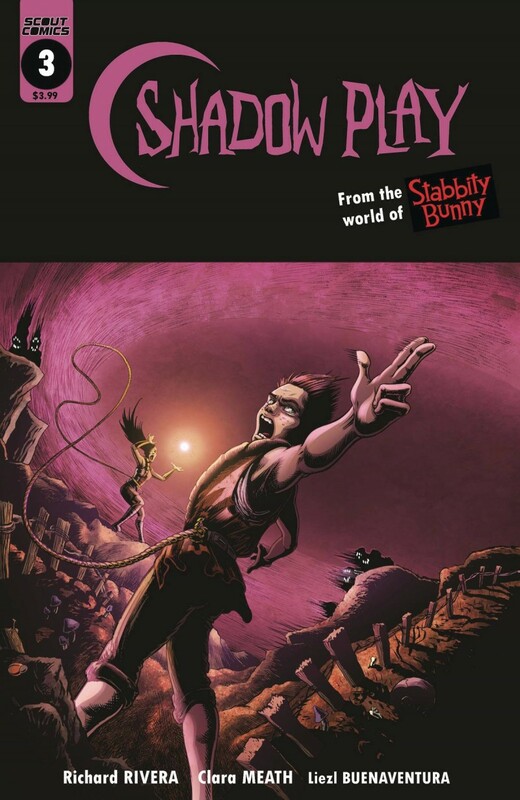 Set in the Stabbity Bunny universe! Bard and Joy must explore an enormous lake made of shadow. No outside source of light will penetrate the darkness, but the kids have a creative solution that might succeed. In the total darkness, magical enemies stalk the duo. It’s hard to fight a foe you can’t see, but these are the Shadow Play Kids!